We operate a Network Access Permit scheme which ensures that our Control Centre and our Customer Contact Centre understand planned activities being conducted on our network. If you wish to carry out work on or near our assets, you will need to have a valid Network Access Permit and agree to our Terms and Conditions. You can apply for a Network Access Permit through the Go2Asset application. 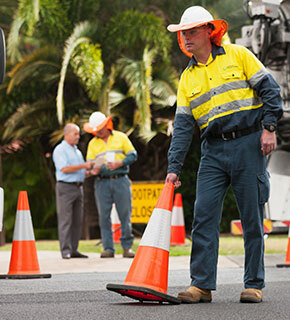 If you require a new Go2Asset login, please email networkaccess@urbanutilities.com.au to request access. More information can be found in the Go2Asset Quick Reference Guide. A detailed description of the work including approved ‘For Construction’ plans. These plans allow us to fully assess the proposed work and determine the best solution for the job. If more information is required a member of our Network Access team will contact you.